The Vapesuite Soft Vaporizer Case is a small and discreet carry case specifically designed to keep all your vaporizing goods safe, secure and within easy reach. Thanks to its well-thought-out design, it is able to store most portable vaporizers along with all of their accessories and utensils. The perfect bag for anyone who wants to keep all their vaping stuff together. 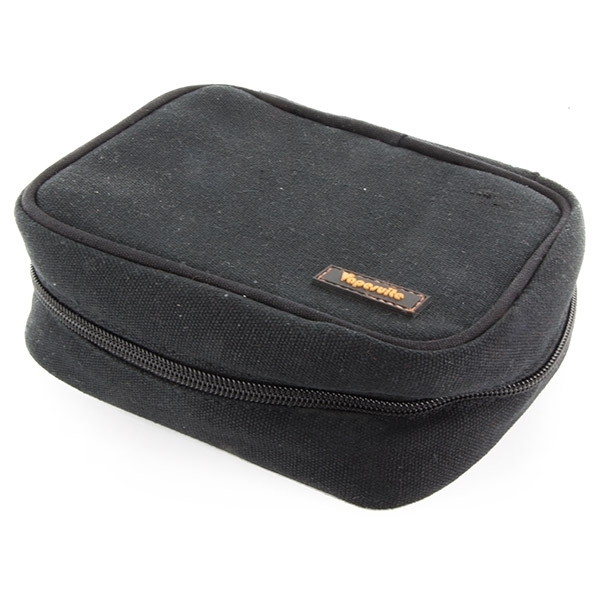 The Vapesuite Soft Vaporizer Case is the ideal carry case for storing your portable vaporizer and all of its accessories - keeping everything together in one convenient and easy to store place. Measuring at 140x110x60mm, the Vapesuite is suitable for most portable vaporizers. The case features multiple pockets of varying sizes, ensuring most utensils and accessories can be safely and securely stored within. It also includes a carrying loop and zip fastening for easy transport and carriage. 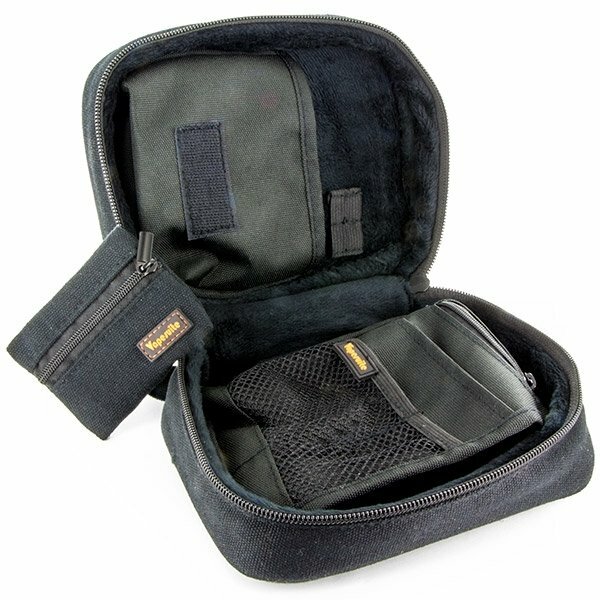 The outer fabric of the Vapesuite case is made from water repellent synthetic fiber, while the inside is lined with plush velvet, keeping everything dry and padded. A separate smaller zip bag is attached to the inside of the carry case using the included strips of Velcro – allowing for even more storage.